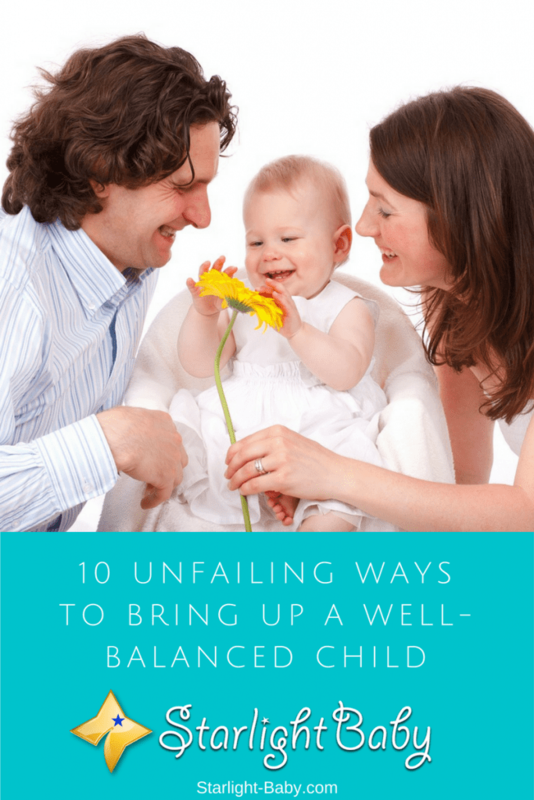 Raising a well-adjusted and balanced child starts much earlier than parents tend to think. As a matter of fact, it’s starts from the womb. Yes, that’s right – from the womb! For example, an anxious mother can pass that anxiety onto her fetus. But the real game starts when the baby is born, however. While a baby doesn’t understand consciously yet, its subconscious mind is already being programmed. A child between 0 and 7 years old learns relatively less consciously but learns a whole lot more subconsciously. This is why it’s so important that you pay very close attention to how and what you teach your child from infancy. To help you do that, here are 10 specific tips that are crucial to the healthy development of your child. Research shows that children and adults who have received daily hugs and kisses as babies were better able to learn and function at school, at work and in life in general. As a matter of fact, a neurologist from McGill University, in Canada, noticed that baby rats that had been licked and groomed more often by their mother were better able to find their way in a maze as adults than the rats that had seldom been licked and groomed. An infant that doesn’t receive any or enough hugs and kisses will be less social and overall less successful in life. Babies who receive plenty of cuddling will be better parents, better workers and ultimately contribute better to society. Parents who have never read to their baby or toddler can sometimes wonder why their child doesn’t like to read when he’s older. Well, the best and easiest way to insure that your child will like to read is to start reading to them from the day they were born and even during pregnancy. By reading to your baby and toddler, you are going to show them that reading is fun and something to look forward to. It will reinforce the bonds between you and your child, and he or she will more likely confide in you when something is bothering them in the future. It will insure more academic excellence. A child that has been read to since babyhood will learn how to read earlier, and will perform better in school. Numerous studies have shown that students who were exposed to reading before the age of two are more likely do well in all facets of education, including math and science. The earlier you expose your baby to the outside world such as parks, malls, streets, other people and so on, the more your baby’s brain is going to develop. When possible, do not shelter your baby too much by covering its stroller, for example. Let your baby see everything that’s around them. This is going to cause their brain to make more neuron connections, improving their alertness and intelligence. When your child ask you questions, do your best not to dismiss him or her, and answer their question to the best of your ability. Do not tell them there are too little to understand. Young children understand far more than adults give them credit for. Looking for creative ways to answer your child’s questions will help your own creative brain. Obviously, there are some things that you won’t want your small child to do, but try to watch your wording when you’re telling them that they can’t do something. Remember that a young child is learning mostly at a subconscious level, and if they hear the phrase “you can’t” too many times, it’s going to become part of their subconscious programming. If they want to do something that’s not allowed, take the time to explain to them WHY they can’t, but do not say things like, “you can’t because I said so,” which is one of the grave mistakes many parents make with their children. When your child is a bit older, give them some freedom to explore what they want to do, and let them experience things for themselves. For example, do not tell them that learning to play the piano is better than taking judo classes if they want to take judo classes. You may want your child to play the piano, but does he or she want to? Do not live your own dreams through your child. Let them live their own life. The more space and freedom you’re giving them, the happier and better adapted adults they will turn out to be. An anxious parent will create an anxious child. If you are constantly telling your child to be careful of this and that, they are going to become anxious and fearful. So, while a healthy dose of warning is needed at times, don’t overdo it. Refrain from being over anxious around your child. Take a big breath, relax and take things into consideration before you alert your child. Jeff Olson, the author of the book “The Slight Edge” and many other personal development books, says that it’s damaging to a child psyche to hear the word “no” too often. He goes on to explain how he tried to take this dangerous little word out of his vocabulary while raising his daughter. The point here is that whenever possible, try to use some other ways of saying no, such as using reasoning and explaining of why they shouldn’t do something. Again this goes back to being aware that your child’s brain is like a sponge that sends all messages directly to their subconscious programming. The less they hear the word no, the less they will feel limited in life. A child that has rarely heard the word no will believe that he or she can do anything. A huge quality for success in life. Always make sure that your child knows that you are his or her best friend and that they can tell you anything without fear. A child that will not tell his parents about something very damaging, such as sexual abuse, for example, is primarily because they have some kind of fear of being punished or not believed. It’s vital that you let your child know very early on in life that you have an open mind and listening ear. Encouragements go a long way. A child who’s never encouraged or praised, will become frustrated and develop the belief that they are not good enough. Many adults walking around today are still suffering because of the lack of encouragement they’ve endured as children. Early encouragements greatly contribute to a person’s success in life. By applying these 10 child development tips, you can truly make a difference in the life of your child from babyhood into adulthood. But of course, that’s not all – parents, we’d love to hear your ideas as well. What tip would you add to this list? Share your thoughts with us by using the comment section below, as we’d love to learn from your ideas! These indeed are great tips. I would add a bit here about the attitude of the parents towards each other. Their bonding reflects on the child and as far as possible they should not argue in the presence of their child as however small the child may be it works on them Then there is yet another important aspect about the child preferring either parent. At no time should attempts be made for the child to get into this choosing mode. 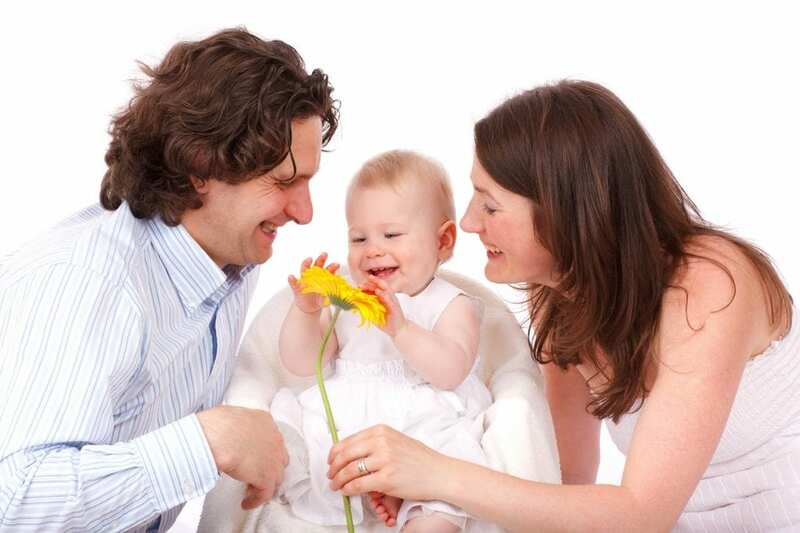 The whole 10 tips are very useful in raising our baby and help him to develop nicely and well. I always have told my son that he can succeed in anything he wants to do to build his confidence in him, I gave him freedom and I showed him how much I trust his judgment! We may help to develop our kid’s character or destroy their chance to have a strong character, it depends on the parents and their actions! It always goes that parents understand that doing certain things to their kids can help to build/mar their future in a way that they will be wondering how it happened. Up till today, I won’t forget the encouraging words of my mom for she will always tell me to believe and I can achieve. That helped me to live a balanced life and I am hoping other parents should adopt tips like the ones you listed above in making their kids turn into great adults. As a father of 10 months old child, I found the tips explained here very useful and informative. I have something to say regarding “not saying no.” I think you should never say negative things to your child. If you say too many “NOs” you will be raising a pessimistic child. A good way to replace NO is to divert the mind of the child. For instance, if the child is playing with water and you want to say no, try to get him involved with other things and divert his mind.